Insurance and reinsurance group Hiscox’s third-party reinsurance capital and insurance-linked securities (ILS) unit Kiskadee Investment Managers, has announced the launch of Cardinal Re Ltd., a new SPI platform, as well as an increase in ILS assets managed. Cardinal Re Ltd is a Bermuda domiciled Special Purpose Insurer (SPI) which Kiskadee has designed to transform collateralised insurance and reinsurance risks, into a security form that is more appropriate for the capital markets and its investors. Kiskadee said that Cardinal Re, which is wholly owned by Hiscox Group while Kiskadee provides the management expertise, is a “market ready platform” through which sidecars and manageed accounts can be quickly and easily created using segregated cells. Cardianl Re has been registered under the Segregated Accounts Companies Act 2000. It launched with its first external investor cell in July 2015, having transformed a portfolio of Hiscox insurance risk into a transaction supported by $55m of capital from external investors. That transaction takes Kiskadee’s ILS assets under management passed a new milestone, having exceeded $600m. Kiskadee has seen great success in both attracting capital and leveraging the Hiscox Group’s scale and reach in order to deploy it effectively. 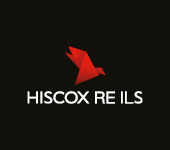 Jeremy Pinchin, CEO Hiscox Re, commented on the launch; “The launch of Cardinal Re is the latest development in our Kiskadee offering and takes assets under management to more than USD600million, in only its second year of operation.